These tough questions are even harder when you’re feeling hungry. Find a snack that will help you focus and get you back on track. 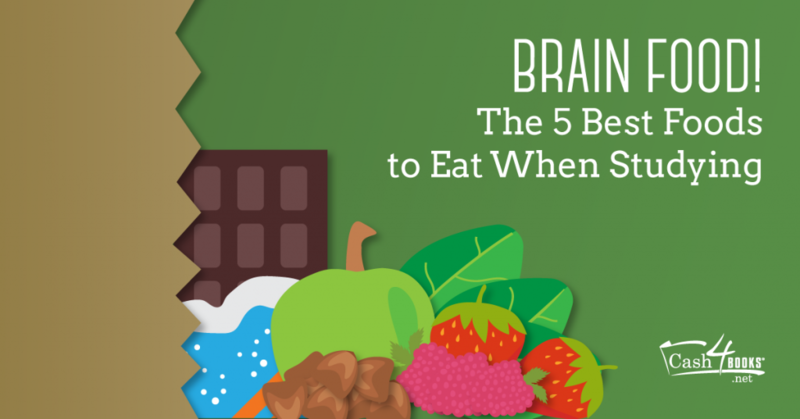 Brain food is hard to find, so we’ve put together a list of the 5 BEST foods to eat when studying. Some of them are rather unexpected. Enjoy! Nuts are one of the best foods you can eat while studying. They pack quite the protein punch, and give you that additional energy boost you’ve been craving. They also come in all shapes and sizes. You can’t get tired of nuts, since there are so many types to try. Start out with a mixed nut selection of assorted cashews, peanuts, and almonds to find that extra concentration to finish your studying. Berries are a great study snack as well. Packed with antioxidants, these impressive little snacks are wonderful for your heart and circulatory system. They also taste great! Similarly to nuts, they come in a vast array of flavors, sizes, and colors, so you definitely won’t get bored with berries! Another amazing study food is spinach. This leafy green food helps you focus and restore your energy; that’s perfect for study sessions! It’s incredibly rich in nutrients, like vitamin C and iron, while low in calories. It’s not a typical study snack but you should definitely give spinach a try. Make a tasty salad with berries and nuts, and experience the power of spinach! Spinach not only helps in memory retaining, but also provides adequately the body with vitamins which help in maintaining a clear skin ridden of blemishes and pores, just like some beauty products which lighten & brighten you and your day. Did you know an apple is better for waking up in the morning than a cup of coffee or a glass of orange juice? That’s because it’s full of nutrients, low in calories, and helps oxygenate your blood. Seriously, that sounds like the best study snack ever. Try combining it with some peanut butter for an additional protein boost! We know, all the other foods on this list seem SUPER healthy, but don’t be fooled by the word chocolate! Dark chocolate has impressive levels of fiber, iron, and antioxidants. It also improves blood flow. In fact, some research has found that eating dark chocolate even improves brain function! If that’s not an excuse to munch on some chocolate treats, nothing is! Now, finals are coming up soon, so find a snack and hit the books!